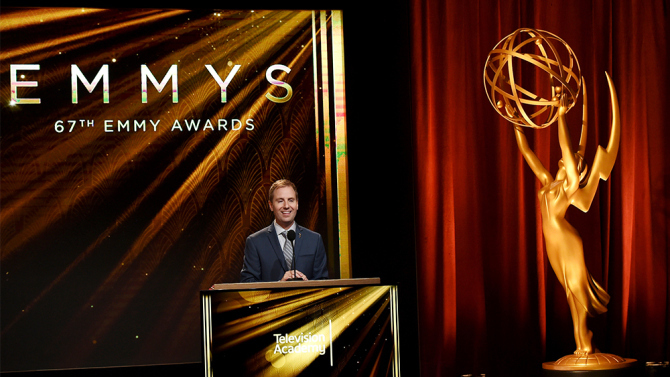 The 67th Emmy Awards was a year that saw HBO reigning the TV throne. The Emmy race proved to be highly unpredictable but very rewarding for HBO. It was the first time in eight years that HBO won in the best drama category for “Game of Thrones”. In total, HBO took home 14 Emmys during Sunday’s telecast sweeping the top categories, which included best comedy series (“Veep”), and best limited series (“Olive Kitteridge”). In total, HBO won 43 Emmys this year. In addition to HBO establishing itself as the prominent cable network, Viola Davis became the first African-American woman to win an Emmy for best lead actress in a drama series for her role on “How To Get Away With Murder”. Jon Hamm also won his first Emmy after seven previous nominations for his role as the tortured Don Draper on “Mad Men”. With an estimation of 400 scripted shows that are expected to be broadcast on TV and online services like Netflix, there is not doubt that next year will be even more exciting. The full list of Emmy winners can be viewed on Variety.com.